Are you using social media to get more visibility for your business? Are you using email marketing to turn interested prospects into buyers? 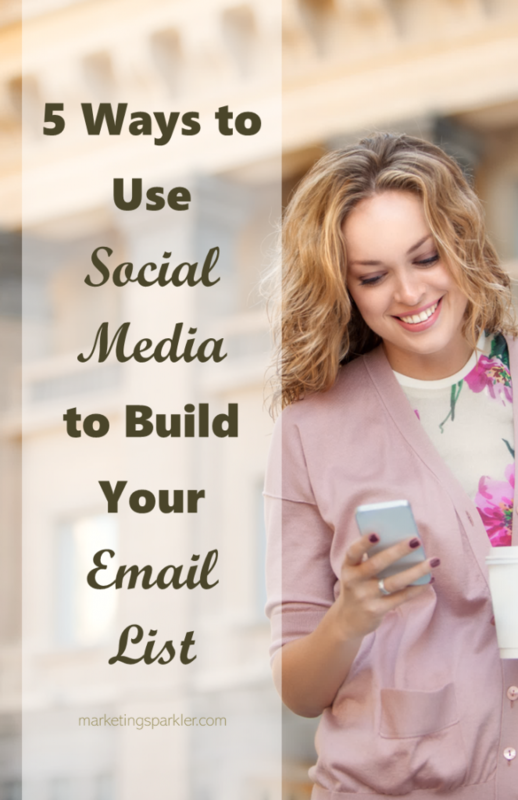 Have you integrated social media into your email list building efforts? If not, you are missing out on a huge opportunity to promote your business! Social media presents an opportunity to build your list of subscribers with a wide range of different people and cross-promote your business from different traffic sources. If you integrate your social media marketing with your email list, you can harness the power of both of these sources for even more traffic and engagement. On all of your social networks, let everyone know about your email sign-up page and tell them about the exclusive promotions you’re offering there. Your social media profiles work as a great entry point into your sales funnel. Absolutely any social network can be used to qualify prospects and get them to your sign-up page. Features such as Facebook’s ‘likes’, Twitter’s ‘re-tweets’, and Pinterest’s ‘repins’ allow people to help spread the word for you. Let your fans help promote you! Encourage visitors to share and consider creating a reward system for those who share the most. On your Facebook page, you can create a custom tab with a sign-up form so that your fans can sign up directly on your page. The best place to put this tab is on one of the visible ‘squares’ just below your cover photo. This is a prime area of Internet real estate that is visible as soon as people arrive on your main cover page. Your blog is also part of your social profile. Make sure you’re promoting your email list there prominently. Put something on your blog’s sidebar that’s visible on each post and page so that it gets as much exposure as possible. Consider placing forms at the bottom of each post, or even in your header. 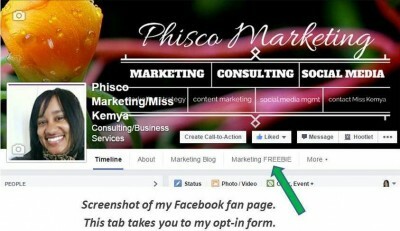 Just like in your social networks, make sure that your offer or freebie is mentioned on your blog’s opt-in form. Integrating social media and your email list means sending traffic both ways, so get your list members to connect with you on social media. One way to do this is to add social media buttons to your emails. The most common buttons are Facebook’s ‘Like This’ and Twitter’s ‘Tweet This.’ Using these buttons, your readers can share your content or comment on it without leaving the email message. Some email services, such as AWeber, have social icons for networks like Facebook and Twitter that you can simply drag and drop into your emails. Then people can click on the icon to connect with you on those networks. One of the best ways to encourage list members to connect with you on social media is by offering exclusive content there. Offer something different in each place so they have a reason to visit you there. An increasing number of people read their emails and socialize online using mobile devices, so make sure that everything is mobile-friendly. Send emails in both text and HTML. Test any templates that you’re using. Make text large and images easy to view with short loading times. Typing on mobiles is difficult so make your opt-in form easy to fill out. Also make sure that your landing pages are optimized for mobile. Build a more valuable relationship with your audience by using more touch points. The more touch points you have with your audience, the more valuable a relationship you can build with them. This is why it’s essential to communicate with them on as many channels as possible, and to not rely primarily on one platform. It also helps to find out what social networking and other sites your target audience is using so that you can focus your email integration and interaction in those places. You should be online wherever your prospects and customers are. Since you’re on social media anyway, why not use it as a marketing tool to build your email list? How do use social media to boost your email marketing efforts? I like your suggestion about building touch points. Makes so much sense.